I think that Mediterranean flavors might be my favorite – they are so fresh and seem lighter than lots of others (like Mexican!). 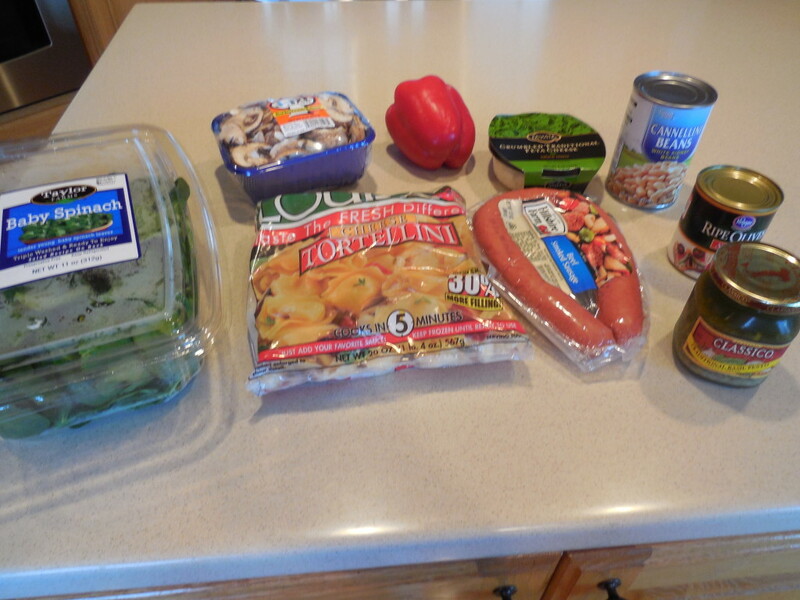 When the weather is warmer I love meals that can be made on the stove without heating up the house. 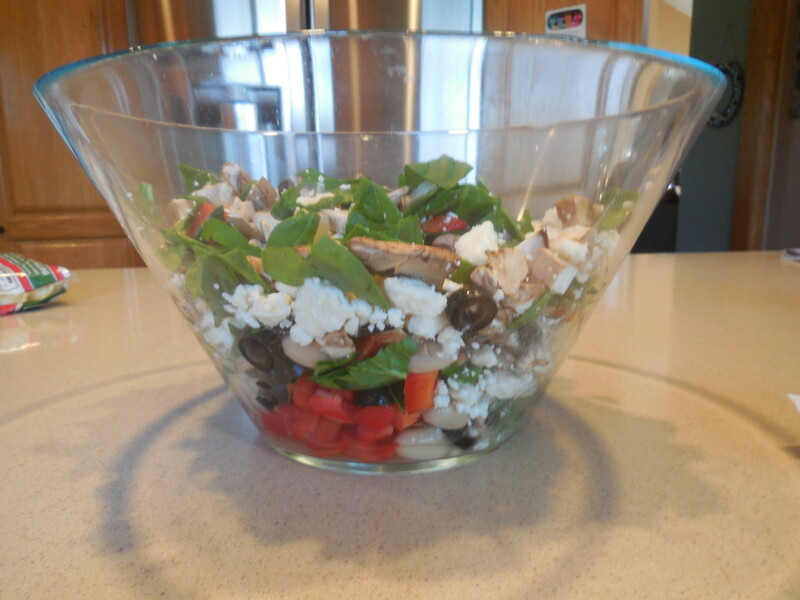 And, nothing says spring like salad!!! This one was so good!!! 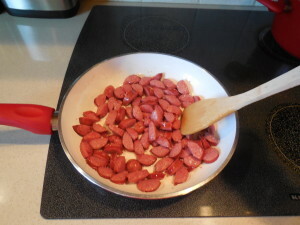 In a large skillet, cook sausage over medium heat for 6-7 minutes (until lightly browned). Transfer to a large bowl. 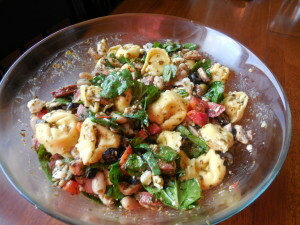 Add spinach, mushrooms, pepper, olives, beans and cheese. look at all the colors – so fresh! Drain tortellini and stir in. 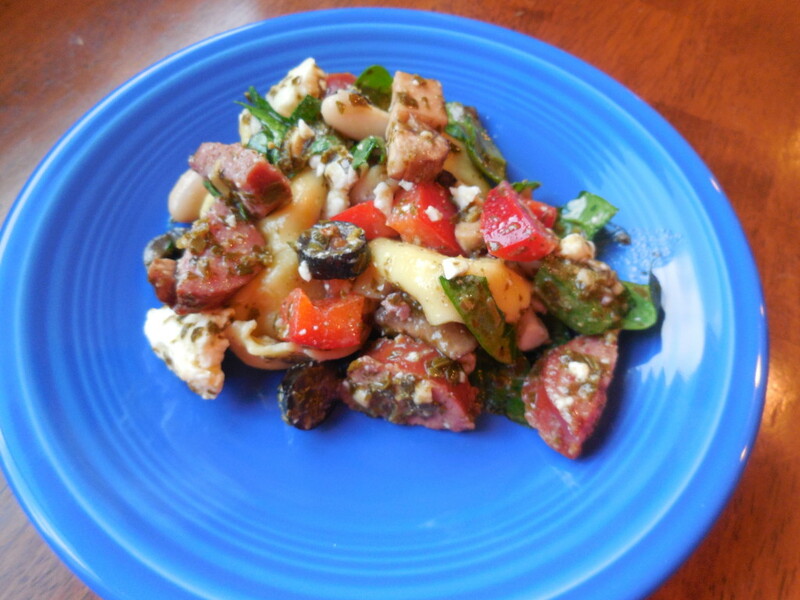 Stir in pesto and enjoy!! The entire family liked this and I have a feeling we will have this one numerous times during the next few months!!! I think it would be a great side if you made it without the sausage, too.